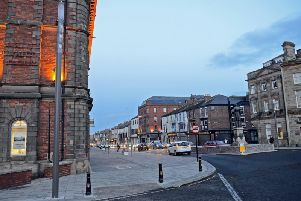 How long can Hartlepool Borough Council put its errors of judgement on the people? Over £2million lost on Jacksons Landing. Over £1million lost on Tall Ships. Putting millions into Church Street and Church Square. Thousands lost on the cemetery cafe. It’s time for the voters in the town to stand up and be recognised, to claw back their losses. The council is hitting Seaton Carew with parking charges, and a very big rise in parking permits. Some permits are £30 for visitors to park. Then there are allotment charges – most holders are pensioners. In a town that has a food bank! There is a town not too far away that reduced the amount of councillors to eight. That council is now running smoothly – no bickering, no problems, and finances are good. Why can’t our council reduce the number to 11? The saving on councillor expenses could help reduce the council tax, rather than another hike.